Madame Mars is more than a film. Additional interviews, photos, videos and educational materials extend the story beyond traditional cinematic confines. The Madame Mars newsletter presents the latest news about Mars exploration, women and space, and STEM education; click here to subscribe to the newsletter. 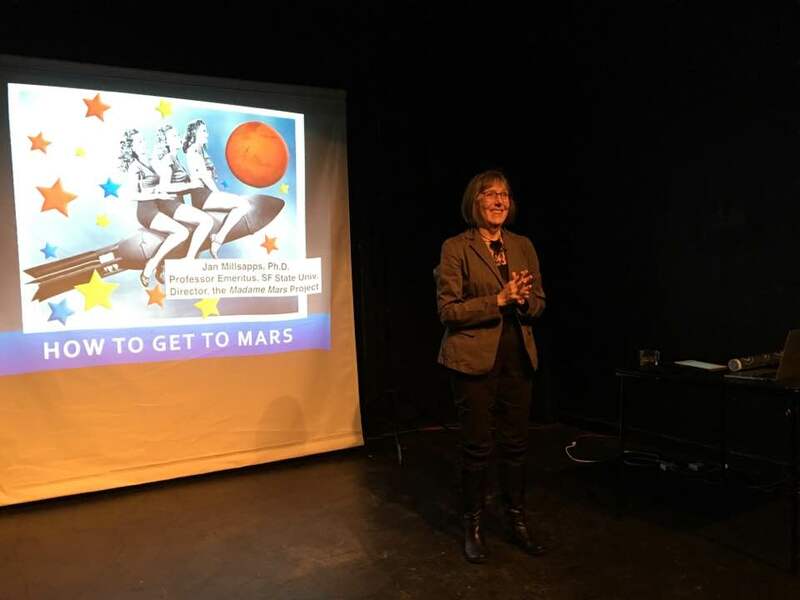 In addition, writer/director Jan Millsapps has created and presented customized presentations on a variety of Mars-related topics at the United Nations, SETI Institute, the Mars Society and more. Contact her if you’d like to host a Madame Mars screening or event. Click here to access the Madame Mars press materials.